The Cognac will then age naturally in the oak barrels (the barrel is a Gallic invention). The making of an oak barrel comes from an ancestral technique that was close to perfection. When selecting the oak for making the barrels nothing is left to chance so that for many years the Cognac will benefit from the best of the wood. 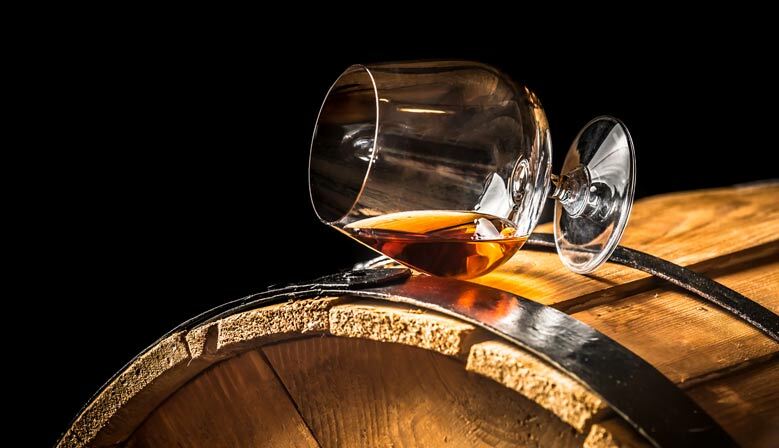 A wine spirit can become Cognac only after a slow maturation in oak barrels made out of wood that has been selected for its natural properties and for its capacity to transfer them to the alcohol, thus giving it the color and the bouquet. Cognac ages exclusively in wooden barrels made from the type of oak called “Tronçais” or “Limousin” (sessile or common oak according to the uses). This oak has been chosen because of its hardness, of its low porosity and of the extractive components that it contains. The forest of Tronçais, in the Allier region, supplies a fine-grained, tender wood that is particularly porous for alcohol. The forest of Limousin, supplies a wood of moderate grain, harder, more nervous and even more porous. The tannin of the first is considered as being particularly smooth while that of the second is known for the strength and balance that it gives to Cognac. A brandy that is stored in “Limousin” oak barrels can extract more tannin. The manufacture of a barrel in which brandy will become Cognac, results from a series of interventions of very high technicality that the coopers pass on from generation to generation. At a glance they can associate skill and dexterity with the use of very old tools that are still in use. The wood used to make the barrel is taken between the heart and the sapwood of oak from trees that are at least a hundred years old. After splitting the wood in such a way as to respect the thread, boards called "merrains" (wood staves) are obtained; these boards have to remain outside for approximately three years in order to purge their sap and eliminate the bitterness of the wood. After this long period, these “merrains” are shaped to give staves. The coopers begin by strapping the staves, around and above a fire of shavings and pieces of oak. The association of fire and regularly moistened wood makes it easier to soften the staves in order to bend them and also releases a characteristic smell of fresh bread; the intensity of the singeing of barrels, called “bousinage” has a big influence on the character of wine spirits. During the period of heating a cable placed at the base of the barrel is progressively tightened so that the staves come together and, finally, are joined without the need for either glue or nails. After the finishing touches, the completed barrel is submitted to solidity and boiling water tests in order to check for any potential leakage paths. Certain coopers affix their signature, thereby accepting responsibility for their work.